Jon Lester's outstanding eight-inning performance was backed by two-hit games by Brock Holt, Daniel Nava, Shane Victorino and Jackie Bradley, Jr. as the Red Sox blanked the Kansas City Royals 6-0 on Sunday afternoon at Fenway Park. With the win, Boston swept the three-game series and moved to within six games of the .500 mark. 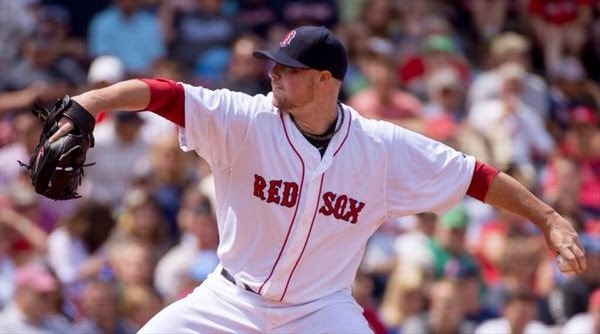 Lester allowed just four hits and two walks while striking out eight in earning his tenth victory of the season. That's six career seasons with at least ten wins for Lester. Junichi Tazawa and Edward Mujica combined to pitch a scoreless ninth inning for the Red Sox. Dustin Pedroia put Boston on the board in the bottom of the first inning with an RBI ground out. The Sox added a pair in the third on Nava's ground-rule double. The Sox added three more in the fourth on David Ross's two-run homer and a sacrifice fly by Nava. Boston has won four in a row and seven of their last eight.